A home in Jenks utilizes the owners’ mementos, especially wood from old Army boxes, as unique design elements. 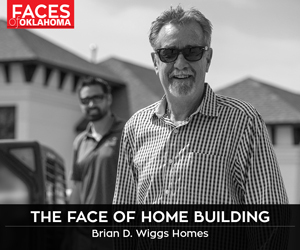 That’s how George Monks describes his family’s new custom-built home in Jenks. Paige Strawn, interior designer for the project, echoes those words. 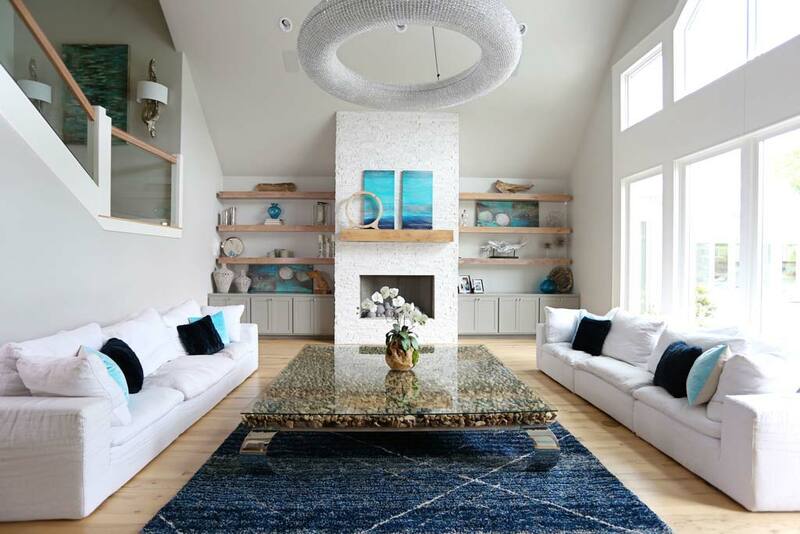 George and his wife, Rachel, like the contemporary, coastal design style seen in homes on Cape Cod or in New York’s Hamptons. George also researched the work of Australian architect Dean Herald, visited with Herald via email, then hired a drone to survey their three-acres so Herald could easily envision the terrain. “We wanted a home where our three children could grow up and entertain their friends – a ‘staycation’ setting so popular now,” George says. 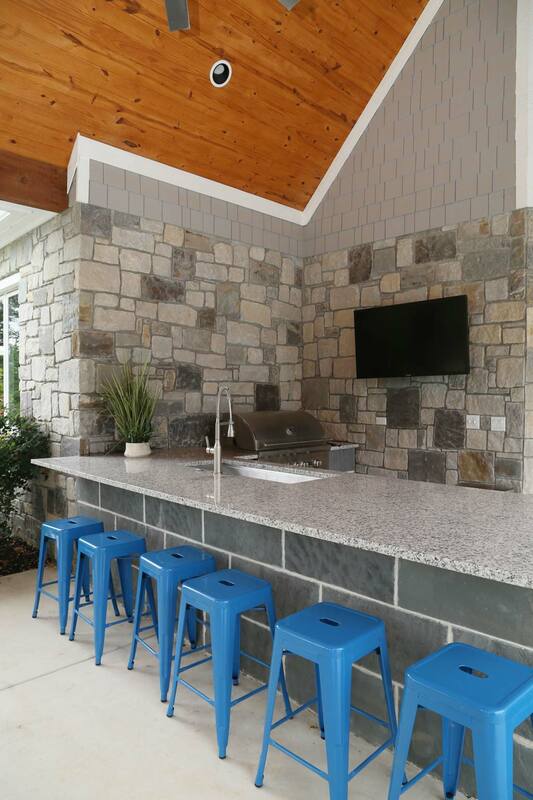 Having a storm cellar was a driving force in the design, along with a standby generator, geothermal heating and air conditioning for the home, and a pool in the backyard entertaining area. Foam insulation was used from floor to ceiling and under the slab foundation. 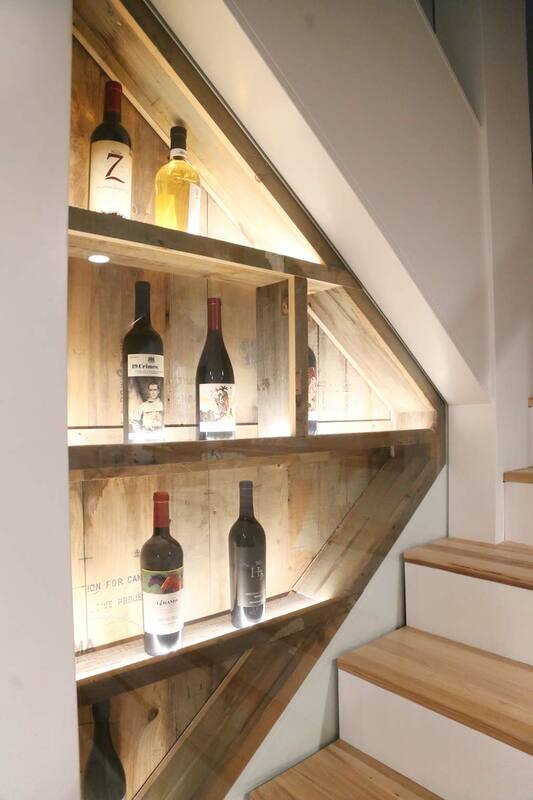 This attention to construction detail and safety was inspired by an EF2 tornado that flooded the basement of the family’s Grand Lake vacation home. 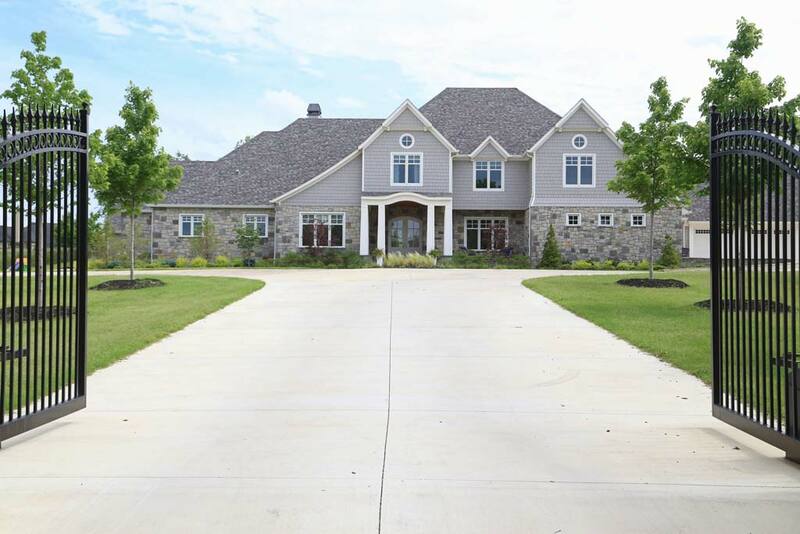 The couple also considered the aesthetics of their new home as much as structural features. “We didn’t want any dark woods,” George says. 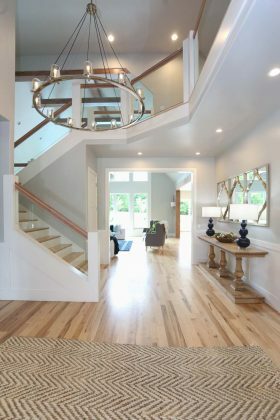 The cool color palette of white and gray is the backdrop for interesting light woods used throughout the home, especially in the flooring, which is all hickory with a high-grade, natural finish. 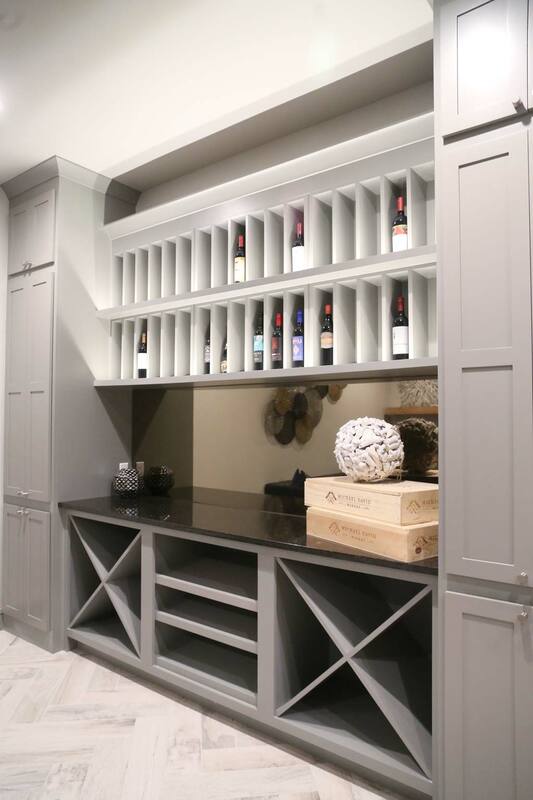 Strawn incorporated many of the family’s favorite possessions in the home’s decor. “We used Restoration Hardware throughout, eclectic things they loved, including a large coffee table they found in Dallas for the living room,” she says. Strawn added turquoise color pops and dressed the master bedroom in pale blues and grays with an occasional touch of navy. Woven wood window coverings and high-end, electronically controlled shades were designed to provide views of the rolling landscape. Repurposed wood was used for accent pieces. That design feature incorporates U.S. Army ammunition boxes from the 1940s and ’50s that George’s dad collected. “My father bought them in the early 1970s and saved all that wood,” he says. “He had hoped to use it to build a chicken house on his southeastern Oklahoma farm. 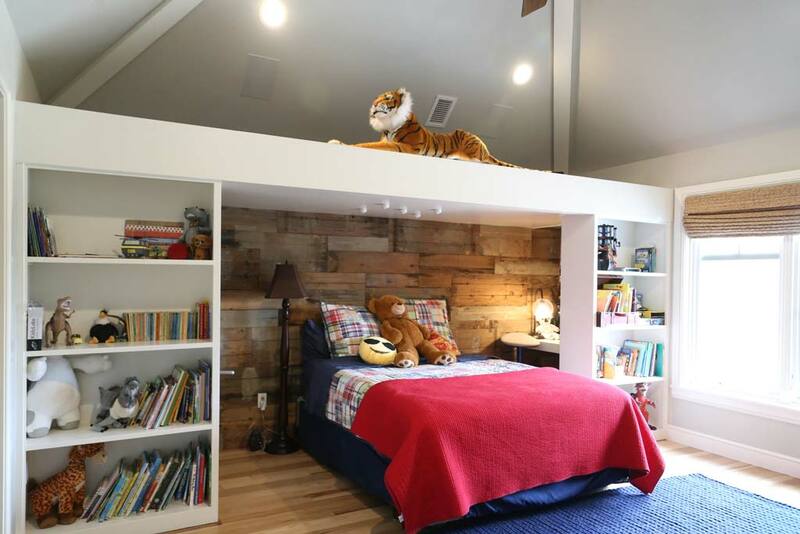 My mom didn’t plan to use the wood, so I used those boxes for sliding doors, a shelf in the new basement storm cellar and game room, and an amazing wall in my son Hudson’s bedroom. That old wood reminds George of his childhood. Subtle color touches are evident in accessories and art, especially a painting commissioned from Oklahoma City artist Jason Pawley. George’s favorite area is the living room, which features a wall of windows overlooking the pool and providing abundant sunlight. 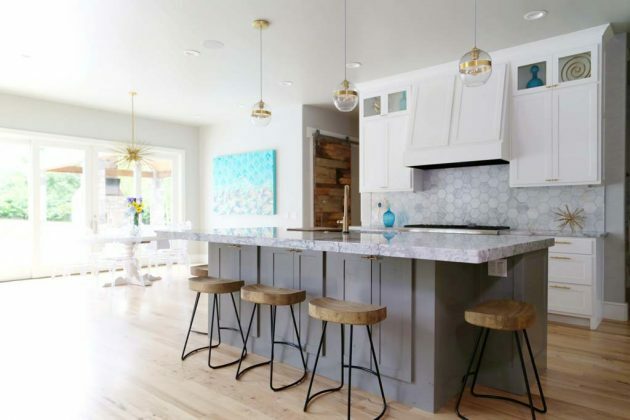 Rachel’s favorite is the kitchen, with its open floor plan and high ceilings, much like the rest of the home. “It’s a happy place where everybody likes to gather and hang out,” Rachel says.